AUSTRIA (2010). CHRISTKINDL 10 (Winter 3). ATMs mint (01), nr. Sielaff (19.11.2010) - Winter landscape and angel with christmas tree and snowman (Winter 3). Special imprint CHRISTKINDL 10. 2 mint ATMs, small value (2 x 1 c.), both ATMs with number on the reverse. Sielaff (19.11.2010) - Winter landscape and angel with christmas tree and snowman (Winter 3). Special imprint CHRISTKINDL 10. 2 mint ATMs, domestic postage (2 x 55 c.). AUSTRIA (2010). CHRISTKINDL 10 (Winter 3). ATMs mint (55), nr. Sielaff (19.11.2010) - Winter landscape and angel with christmas tree and snowman (Winter 3). Special imprint CHRISTKINDL 10. 2 mint ATMs, domestic postage (2 x 55 c.), both ATMs with number on the reverse. AUSTRIA (2010). CHRISTKINDL 10 (Winter 3). Covers, F.D. AUSTRIA (2010). CHRISTKINDL 10 (Winter 3). Sets 3 val. Sielaff (19.11.2010) - Winter landscape and angel with christmas tree and snowman (Winter 3). Special imprint CHRISTKINDL 10. 2 mint sets 3 values, domestic mail (2 x 55-75-100 c.). AUSTRIA (2010). 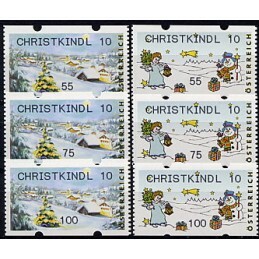 CHRISTKINDL 10 (Winter 3). Sets 3 val., nr. Sielaff (19.11.2010) - Winter landscape and angel with christmas tree and snowman (Winter 3). Special imprint CHRISTKINDL 10. 2 mint sets 3 values, domestic mail (2 x 55-75-100 c.), all the ATMs with number on the reverse. AUSTRIA (2010). 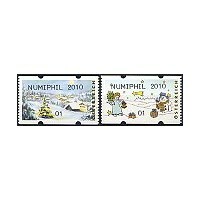 NUMIPHIL 2010 (Winter 3). ATMs mint (01), nr. Sielaff (3.12.2010) - Winter landscape and angel with christmas tree and snowman (Winter 3). Special imprint NUMIPHIL 2010. 2 mint ATMs, small value (2 x 1 c.), both ATMs with number on the reverse. Sielaff (3.12.2010) - Winter landscape and angel with christmas tree and snowman (Winter 3). Special imprint NUMIPHIL 2010. 2 mint ATMs, domestic postage (2 x 55 c.). AUSTRIA (2010). NUMIPHIL 2010 (Winter 3). ATMs mint (55), nr. Sielaff (3.12.2010) - Winter landscape and angel with christmas tree and snowman (Winter 3). Special imprint NUMIPHIL 2010. 2 mint ATMs, domestic postage (2 x 55 c.), both ATMs with number on the reverse. AUSTRIA (2010). 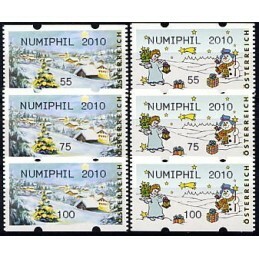 NUMIPHIL 2010 (Winter 3). Covers, F.D. AUSTRIA (2010). NUMIPHIL 2010 (Winter 3). Sets 3 val. Sielaff (3.12.2010) - Winter landscape and angel with christmas tree and snowman (Winter 3). Special imprint NUMIPHIL 2010. 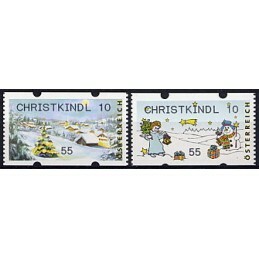 2 mint sets 3 values, domestic mail (2 x 55-75-100 c.). AUSTRIA (2010). NUMIPHIL 2010 (Winter 3). Sets 3 val., nr. Sielaff (3.12.2010) - Winter landscape and angel with christmas tree and snowman (Winter 3). Special imprint NUMIPHIL 2010. 2 mint sets 3 values, domestic mail (2 x 55-75-100 c.), all the ATMs with number on the reverse. AUSTRIA (2010). PHILATELIE.SHOP (Winter 3). ATMs mint (01), nr. Sielaff (19.11.2010) - Winter landscape and angel with christmas tree and snowman (Winter 3). Special imprint PHILATELIE.SHOP. 2 mint ATMs, small value (2 x 1 c.), both ATMs with number on the reverse. Sielaff (19.11.2010) - Winter landscape and angel with christmas tree and snowman (Winter 3). 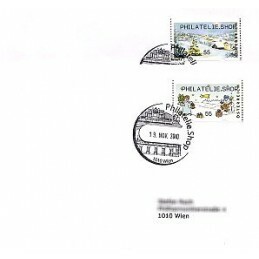 Special imprint PHILATELIE.SHOP. 2 mint ATMs, domestic postage (2 x 55 c.). AUSTRIA (2010). PHILATELIE.SHOP (Winter 3). ATMs mint (55), nr. Sielaff (19.11.2010) - Winter landscape and angel with christmas tree and snowman (Winter 3). 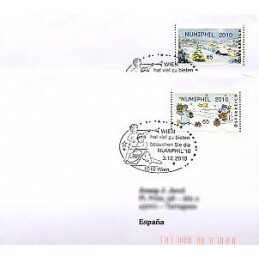 Special imprint PHILATELIE.SHOP. 2 mint ATMs, domestic postage (2 x 55 c.), both ATMs with number on the reverse. AUSTRIA (2010). 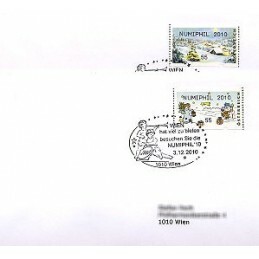 PHILATELIE.SHOP (Winter 3). Covers, F.D. Sielaff (19.11.2010) - Winter landscape (Winter 3). Special imprint PHILATELIE.SHOP. 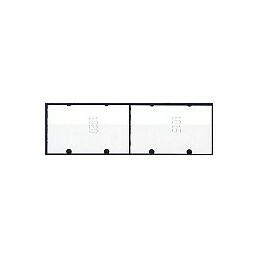 Mint label with no face value imprint. AUSTRIA (2010). 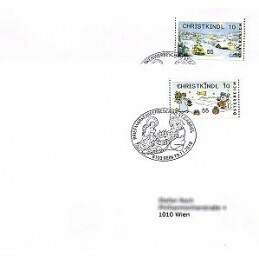 PHILATELIE.SHOP (Winter 3). Sets 3 val. Sielaff (19.11.2010) - Winter landscape and angel with christmas tree and snowman (Winter 3). 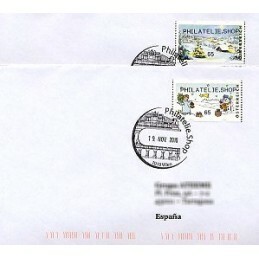 Special imprint PHILATELIE.SHOP. 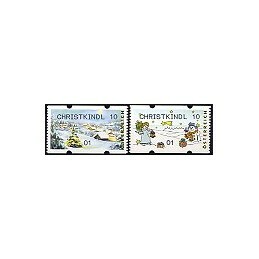 2 mint sets 3 values, domestic mail (2 x 55-75-100 c.). AUSTRIA (2010). 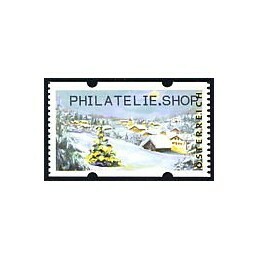 PHILATELIE.SHOP (Winter 3). Sets 3 val., nr. Sielaff (19.11.2010) - Winter landscape and angel with christmas tree and snowman (Winter 3). Special imprint PHILATELIE.SHOP. 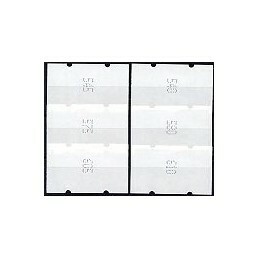 2 mint sets 3 values, domestic mail (2 x 55-75-100 c.), all the ATMs with number on the reverse.